Brian is the third of four children of Catherine and Paul Buckley. His parents’ commitment to their children’s education has led Brian down many wondrous paths. A graduate of Harvard College, he has since taught in Brooklyn, New York as New York City public school teacher; in Udon Thani, Thailand as a United States Peace Corps Volunteer; in Page and Leupp, Arizona as a Northern Arizona Peace Corps Fellow. 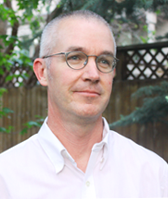 From 1999 to 2001, Brian served as a Teaching Fellow at Harvard University with Dr. Robert Coles for the class, The Literature of Social Reflection, where he received the Derek Bok Award for Distinguished Teaching. He has also received graduate degrees from the Harvard University Graduate School of Education and the University of Massachusetts. Brian also serves on the Board for the SNAP Foundation based in Rochester, NY and the Americas Latino Festival based in Boulder, CO. Brian lives with his wife Katherine and daughters Norah, Clare, and Ruby. Genevieve Bennally is of the Towering House Clan, born for the Red Streak Through the Water Clan. Her maternal grandparents are Black Streak Through the Wood Clan, and her paternal grandparents are the Edgewater Clan. She was born and raised in Page, Arizona where she graduated from Page High School in 2002. Currently, she is a Junior at Northern Arizona University, majoring in Mechanical Engineering with a minor in Math. Her interests include an array of activities, from the outdoors to spending quality time with family. She enjoys reading a good book and spending hours over the hot stove for a great meal! 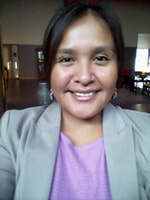 I am Paiute and Diné, with my husband I have three beautiful children. 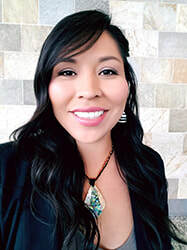 I was raised on the Diné reservation in Leupp, AZ and currently hold the position of Administrative Assistant for the NAU Office of Native American Initiatives. I also enjoy family time and traveling. A first generation college student, I graduated from Northern Arizona University with a Bachelor’s in Applied Indigenous Studies and a Minor in Social Work. To me education is important; it leads to positive opportunities and ties us to academic, professional, and cultural knowledge. My academic and professional paths will continue to be guided by my desire to be a part of endeavors that strengthen Native American communities and support systems. Katherine Hunter was born in Toronto, Canada. She did her undergraduate and graduate work in the United States at Franklin & Marshall College, Northern Arizona University and the University of Massachusetts. Katherine’s interest in educational opportunities for all students contributes to SWNAF’s mission. Katherine has previous non-profit experience as a Board member of a Cancer Society focused on access to care and fundraising. In her free time, she enjoys playing backgammon, cooking for alternative diets, and exploring the outdoors with her family. 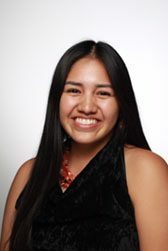 Ashley Holiday is a Board member of Southwest Native-American Foundation (SWNAF) and a former scholarship recipient. She has a B.S. in Biology with a Biomedical Emphasis and Minor in Health Psychology from Dixie State University (DSU). Prior to joining SWNAF, Ashley has been actively involved on the DSU campus through student-based organizations that place emphasis on both Multiculturalism and Science/Technology. She served as a council member within the Multicultural & Inclusion Center where her essential goal was to improve inclusive training throughout campus. Ashley also assumed the role of Biology Senator within the Dixie State University Student Association which allowed her to actively assist research students in need of funding within the College of Science and Technology. Additionally, she participated in the Rural Health Scholars Organization where she not only attended a medical volunteer mission in Nicaragua but the Dominican Republic as well. In 2017, Ashley became the title holder of Miss Native Dixie; During her one year reign, she had the opportunity to serve as an ambassador for Native students to increase the overall Native population on DSU campus. As a current Pre-Med student, Ashley dedicates her time between working and studying to spending quality time with her family and embarking on outdoor adventures. Cebre Henry, a White Mountain Apache, is a mother of two beautiful girls. Cebre is continuing her education at the University of Arizona as a non-declared Public Health major with a minor in American Indian Studies. She likes spending time with her family, listening to music and event planning. She works as a student-worker at the University of Arizona Libraries. I am Lorna and I am 14 years old. I live in Boulder Colorado with my wonderful family. Living in the “Boulder Bubble” I have always wanted to see more diversity of all types around me and have always jumped at the chance to help support equality of any type. I have known Brian Buckley for basically my whole life and have always been interested in the work he does and the rich culture he works with. 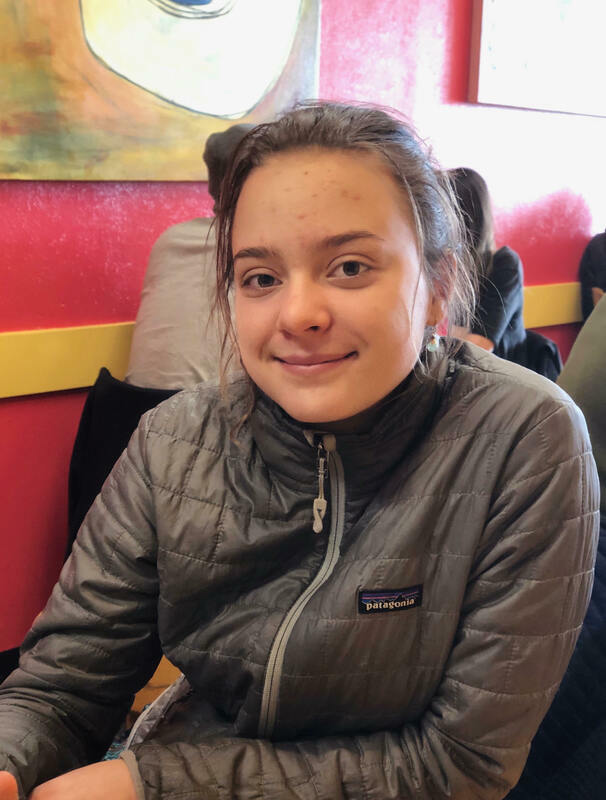 I am in my eighth grade year at Boulder Country Day school and I am required to do something called a Capstone project which is a community service based project to help a chosen community and raise awareness in our current community. This experience so far has been so fun and educational. The work that this organization does is really good and done with such a purpose and passion.